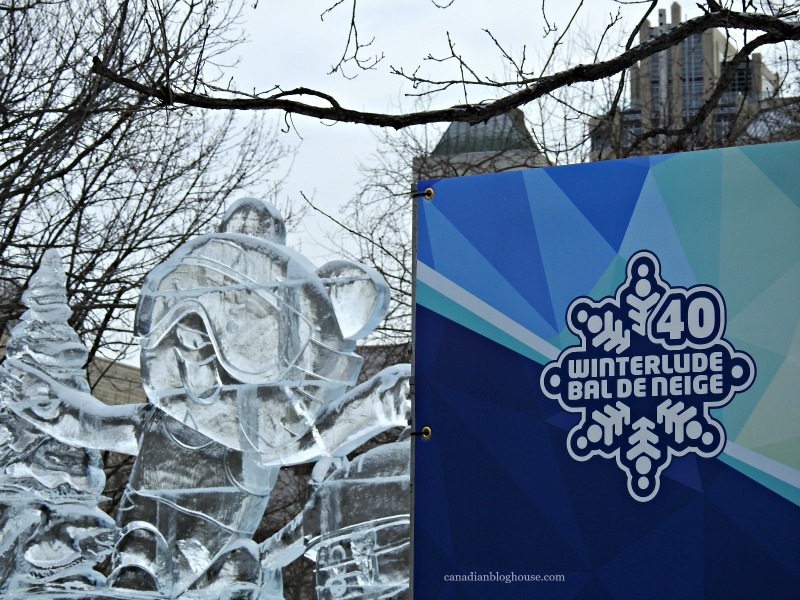 Winterlude Turns 40! What Is Your Favourite Winterlude Moment? 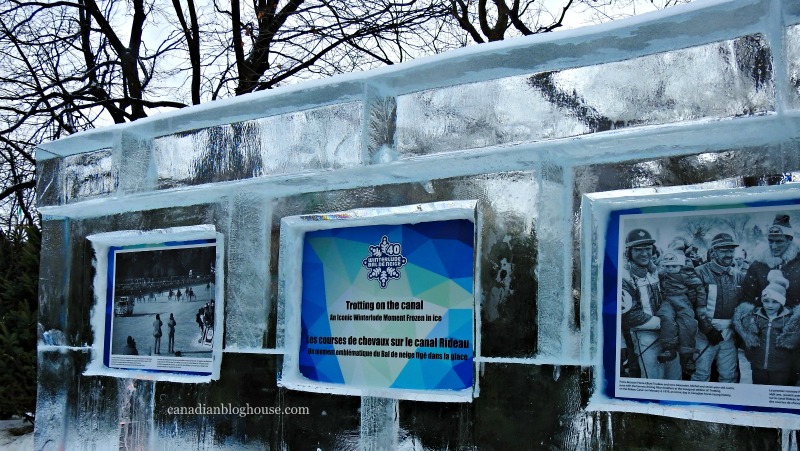 This Winterlude Moment is brought to you in partnership with Ottawa Tourism and Canadian Heritage/Winterlude. 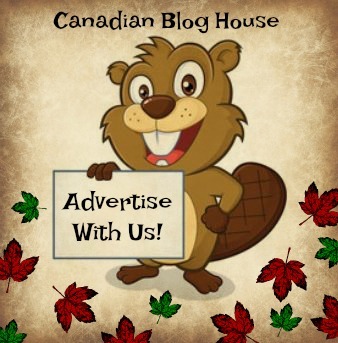 Canadian Blog House received compensation for this post. All opinions are our own. What is your favourite Winterlude moment? 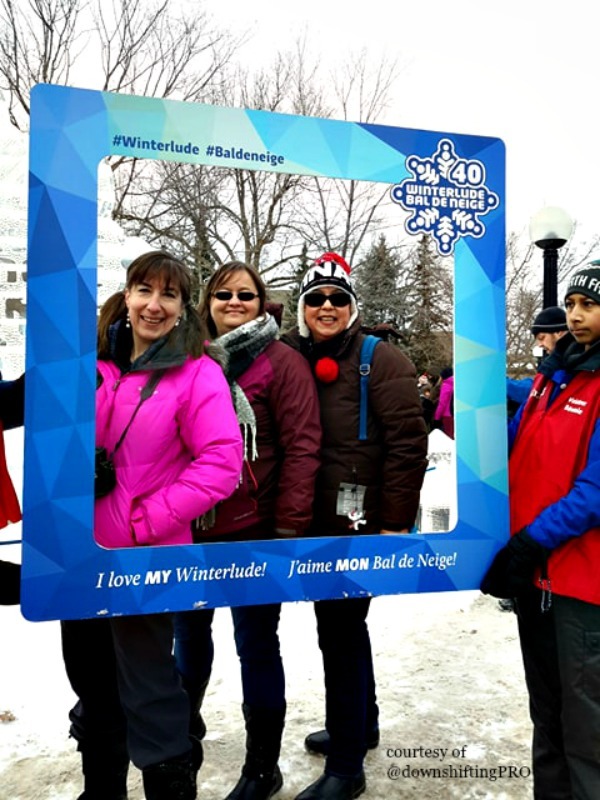 Organizers of the 40th edition of Winterlude, one of Canada’s most beloved winter festivals, want you to share your #ILoveMYWinterlude moment with the world. From February 4-19th, Ottawa invites you to another magical Winterlude winter festival that includes all your Winterlude favourites, as well as some “retro” fun and entertaining experiences for the whole family! Winterlude 2018 is sure to be a part of your #ILoveMYWinterlude memories for years to come! Grab a friend or two and come enjoy Winterlude fun in the great Canadian outdoors! 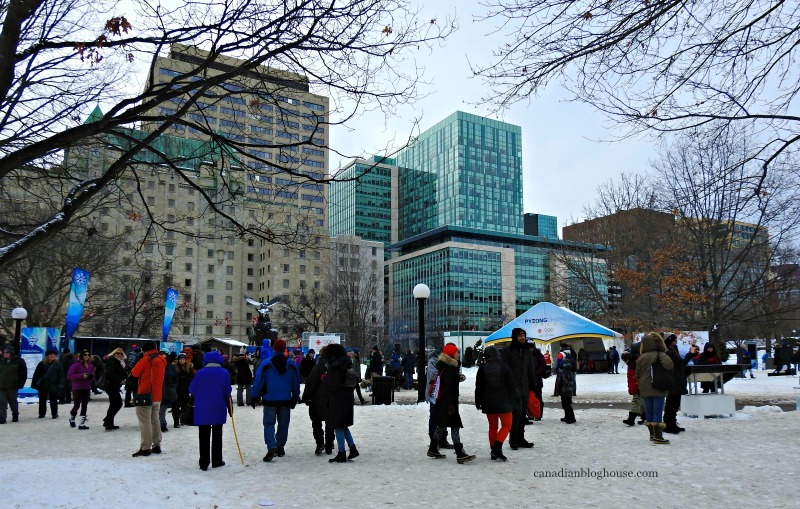 I did just that – meeting up with friends, Ann from KickAss Living, and Margarita from DownshiftingPRO, for an afternoon of girlfriend fun at Winterlude. 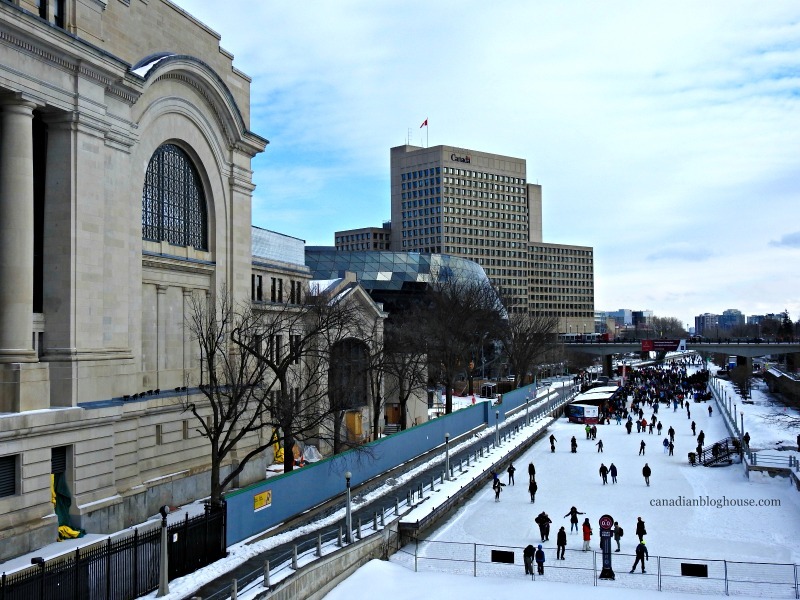 There is a whole lot of Winterlude fun happening at Ottawa’s Confederation Park this February! 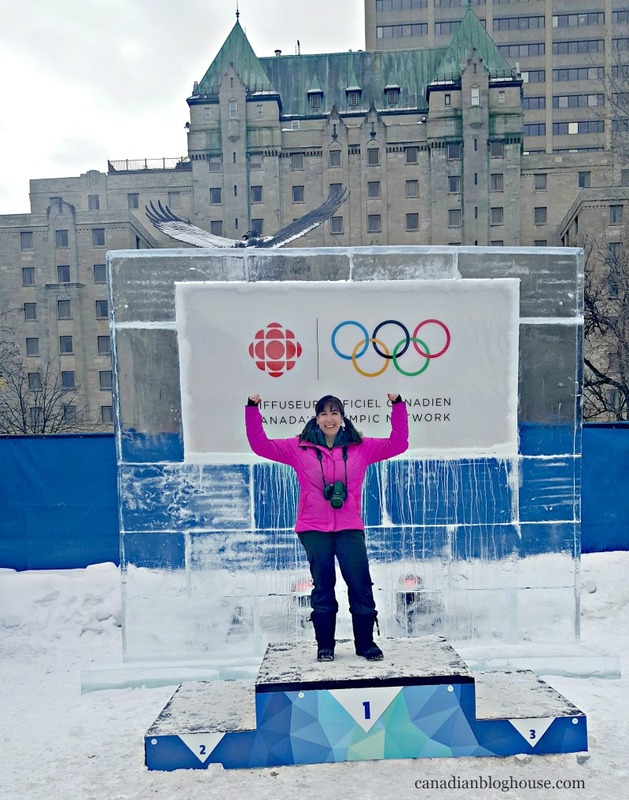 In honour of the 2018 Winter Olympics, visit the Pyeongchang 2018 Ice Sculpture from the Korean Embassy. 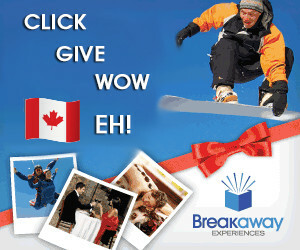 Want to feel what it’s like to win an Olympic medal – just for a moment? Step up onto the ice podium for a photo opp! 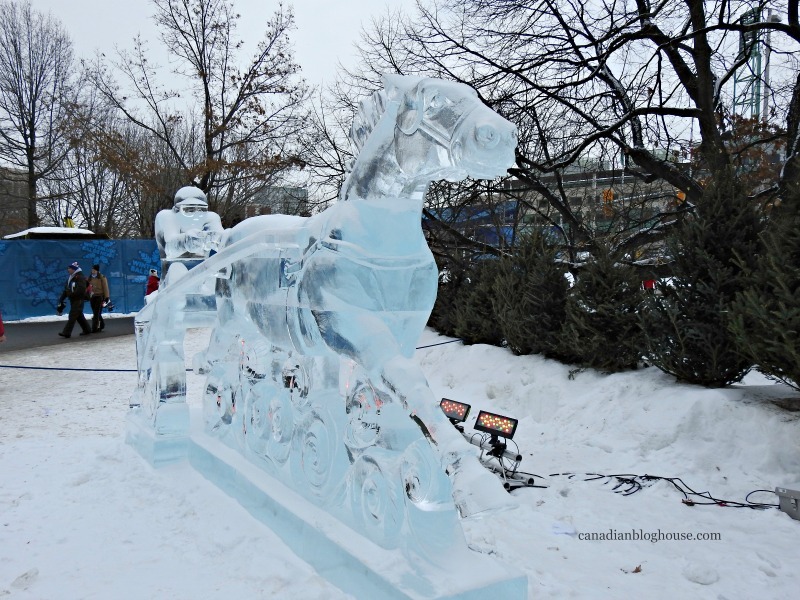 Celebrate the history of Winterlude by visiting the majestic ice sculpture “Trotting on the Canal“. From 1979 to 1985, Winterlude visitors were entertained with horse racing on the Rideau Canal Skateway. Visitors lined the canal for a mile, trying to catch a glimpse of this unique race. 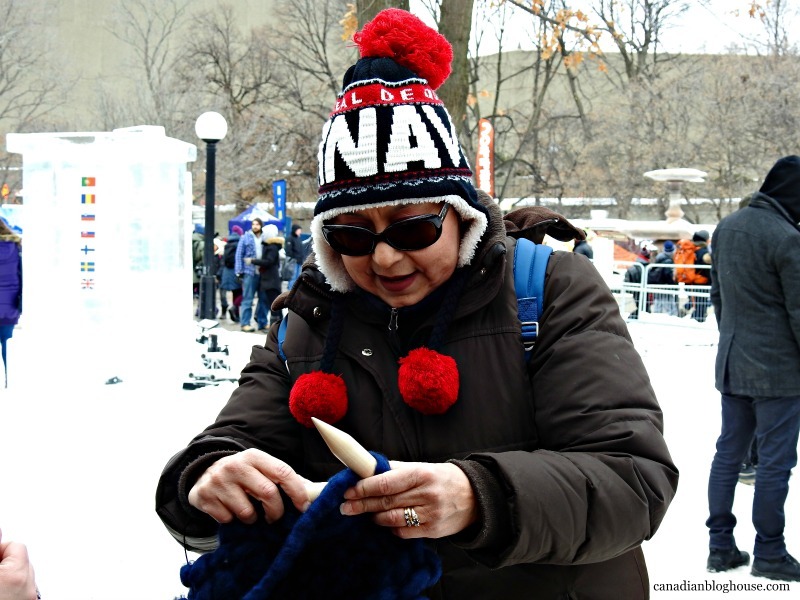 Put your knitting skills to the test by taking part in knitting a giant mitten. Your stitch will be a part of the Cactus Yarn Studio’s gigantic mitten – a mitten that will end up large enough that a person can crawl inside it. 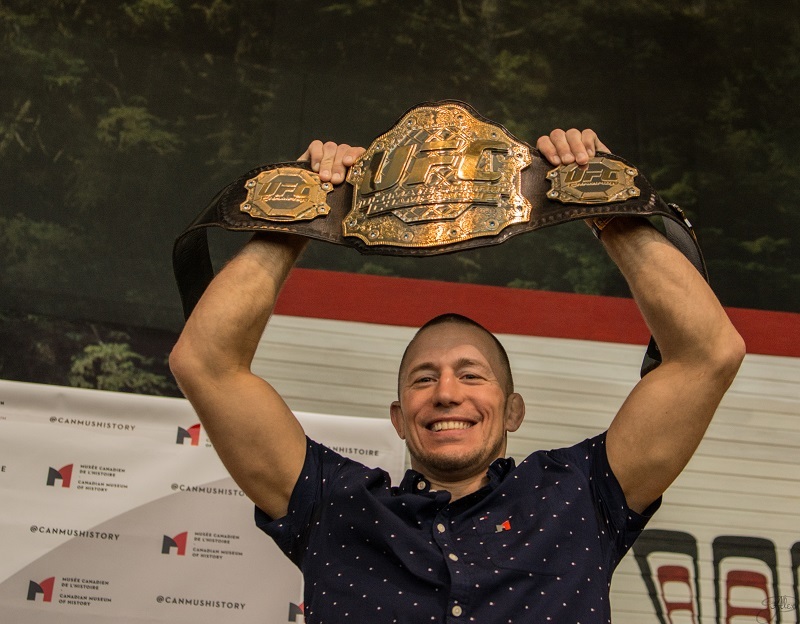 Sports fans won’t want to miss the Go Canada Zone. Here you can play a game of hockey with larger-than-life hockey players, throw a rock on an actual curling surface, and write a good luck message to your favourite 2018 Winter Olympic athletes. 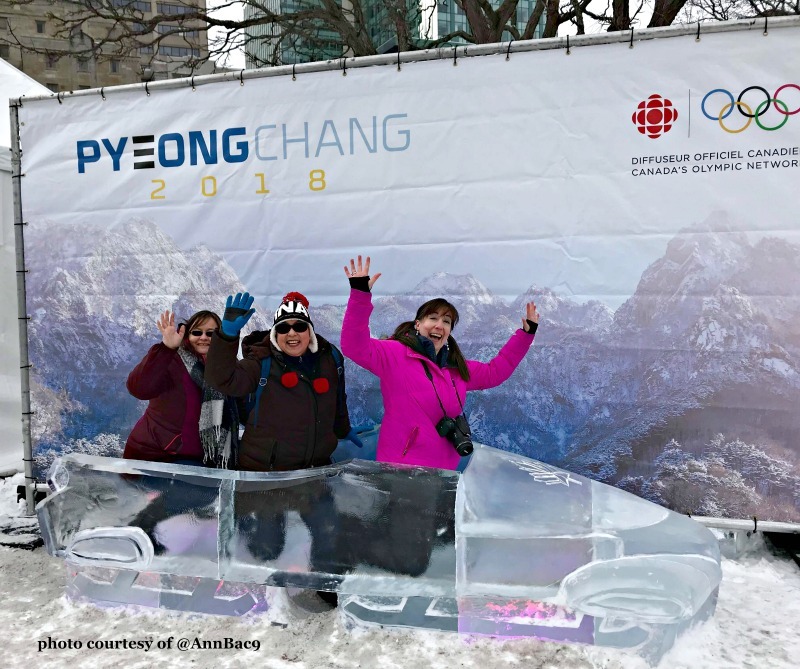 Slip into an Olympic bobsleigh made of ice, for another great photo opp! 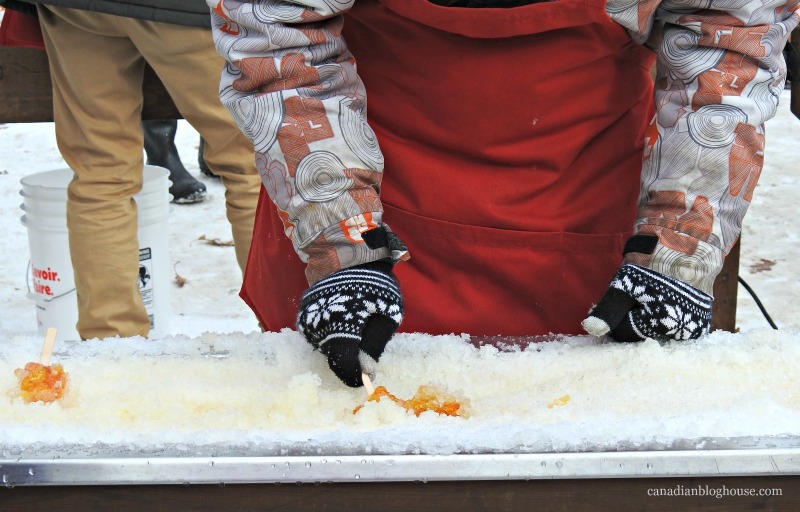 Confederation Park is home to the International Ice-Carving Championships. It is here where you can enjoy all the magical ice sculptures, representing different themes and countries. 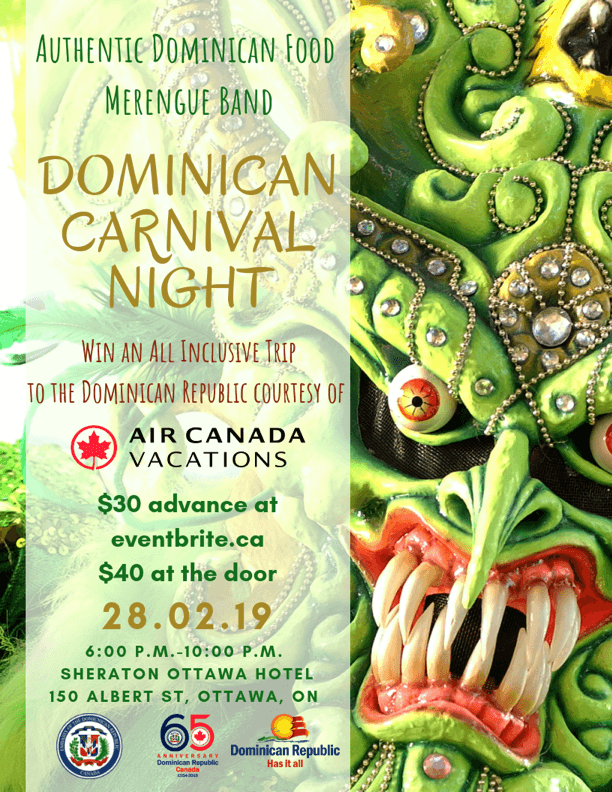 Winterlude fun does not stop at night! The Sub-Zero Concert Series livens up Confederation Park every Friday and Saturday night during the festival. Featuring a selection of talented Canadian entertainers and DJs, the Sub-Zero Concert Series gives visitors another great excuse to get outside and get moving to the beats! 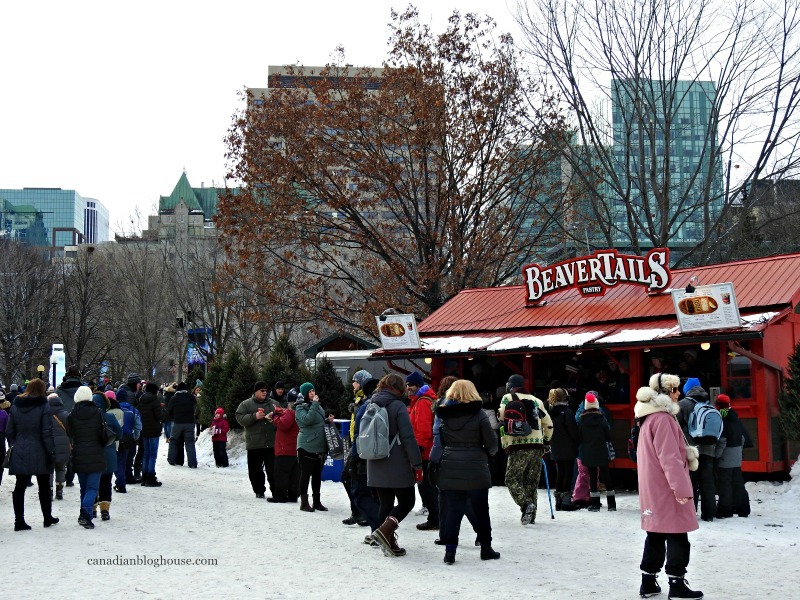 Don’t forget to enjoy Ottawa’s famous BeaverTails and some delicious maple taffy! 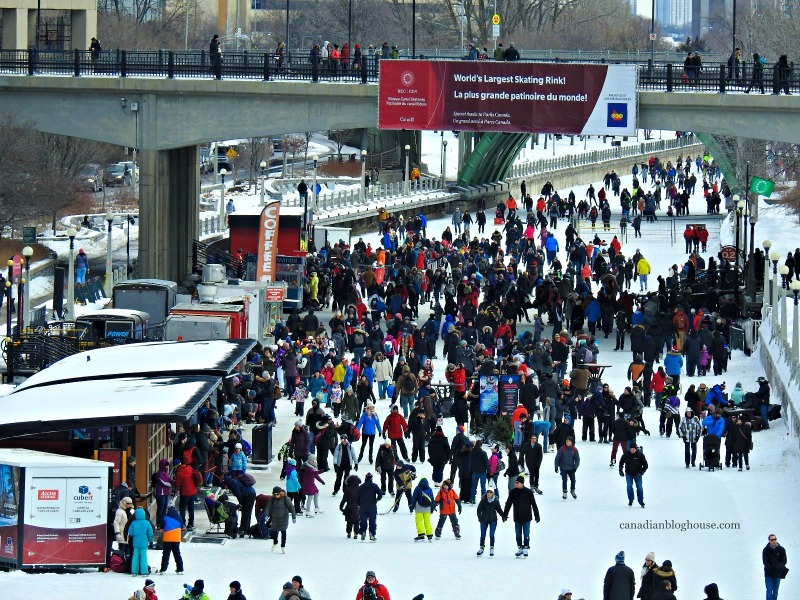 Celebrating its 2nd year, the Tim Hortons Ottawa Ice Dragon Boat Festival happens Saturday February 10th on the Rideau Canal Skateway at Dow’s Lake. 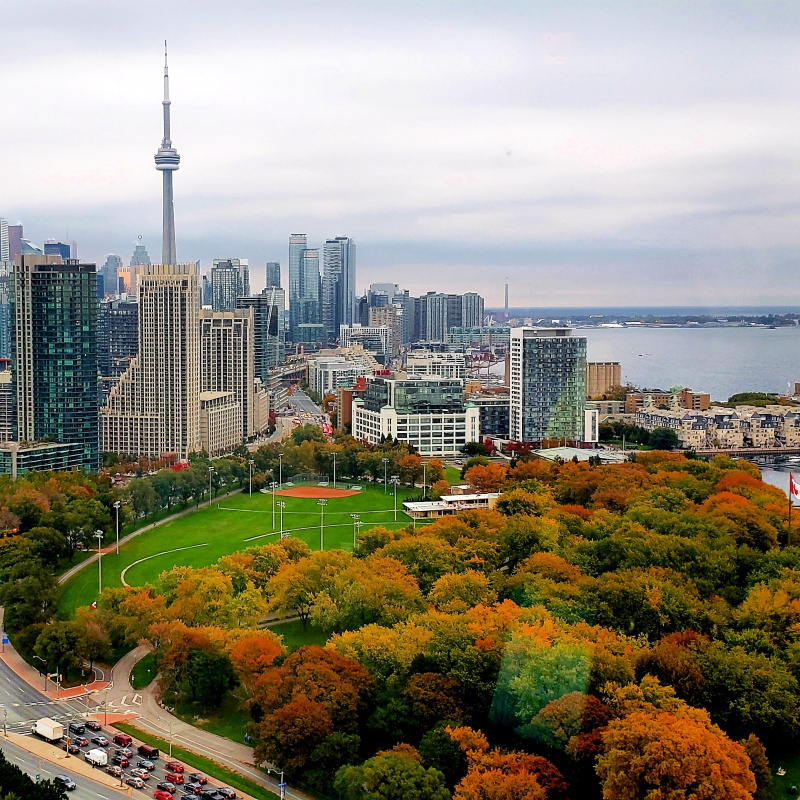 This unique experience is sure to be a hit with residents and visitors alike! Don’t miss it! 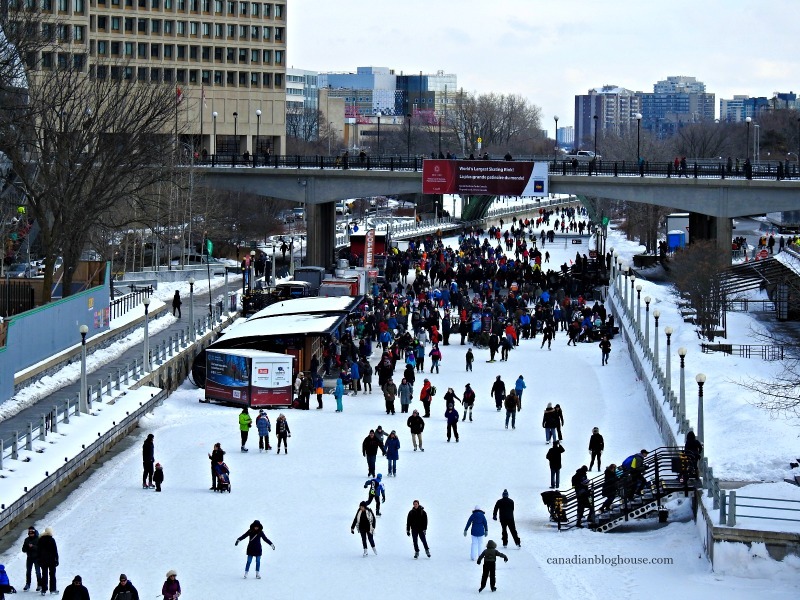 Visitors to Winterlude should NOT miss the opportunity to get out onto the ice and skate the Rideau Canal Skateway – the largest outdoor skating rink in the world! Don’t know how to skate? No worries! Join a Nokia Learn To Skate session for a FREE 45-minute lesson, focused on fun and basic skill development. For more fun on the ice, don’t miss the Pepsi Fun Zone, located on the skateway at Fifth Avenue. 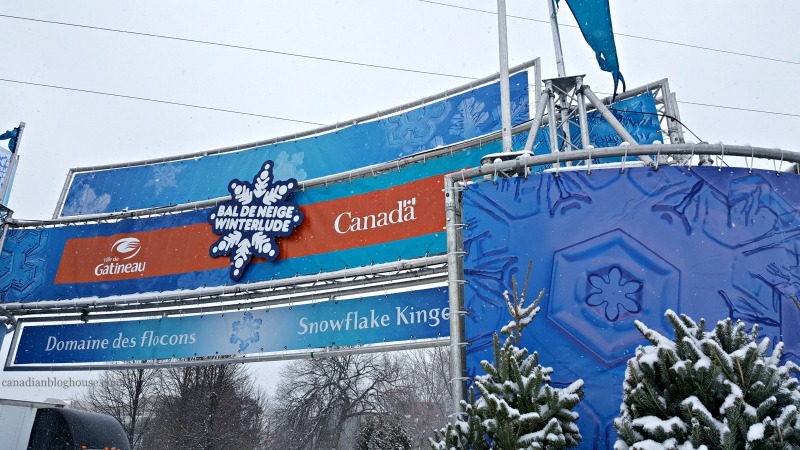 Although we did not make it to Snowflake Kingdom this visit, this family-friendly Winterlude site is one of our favourites! ***The following 3 images were taken at the 2017 Winterlude festival. There are SO many fun activities at Snowflake Kingdom – for the whole family! This year, be sure to check out the Extreme Aerial Acrobatic and Trampo-Wall Show. I hope to make it to one of their performances – it looks fabulous! At Snowflake Kingdom you’ll find giant snow sculptures, super slides (made of ice! ), a kiddie zone, giant board games, and the Indigenous Village. At night, you’ll see multimedia lighting and illuminated snow sculptures on Fridays and Saturdays until 9 p.m.
Want to introduce the kids to some great Canadian winter activities? Take part in an intro to downhill skiing and snowboarding. Of course, a visit to Snowflake Kingdom isn’t complete without a visit with the Ice Hog Family, the official mascots of Winterlude! Be sure to check the official Winterlude calendar to find out when you may see them wandering around the park. There’s still plenty of time to make some great Winterlude memories before Winterlude wraps up on February 19th! 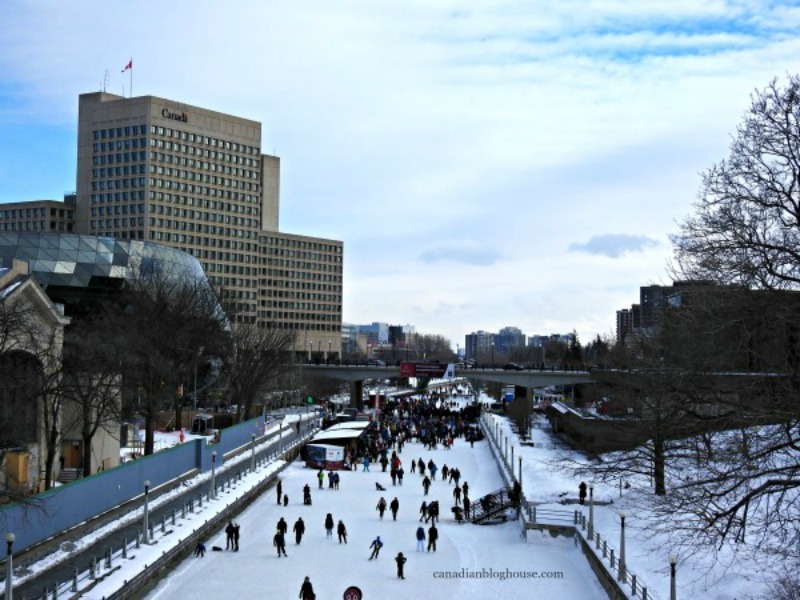 For visitors from out-of-town, Winterlude is a great excuse for a winter weekend getaway! 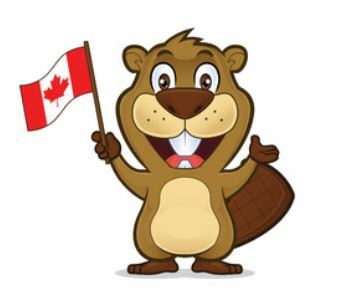 Book a stay at one of the official Winterlude hotels, pack your bags, slip into your warm winter gear, and come enjoy a great Canadian outdoor Winterlude weekend! For my fellow Ottawans, count yourselves lucky. We have such a fabulous winter festival – in our own backyard! Get out there and enjoy Winterlude every minute that you can! Don’t forget to share YOUR favourite Winterlude moment! Follow Capital Experience on Twitter, and like Capital Experience on Facebook – and share your favourite moment using hashtag #ILoveMYWinterlude! 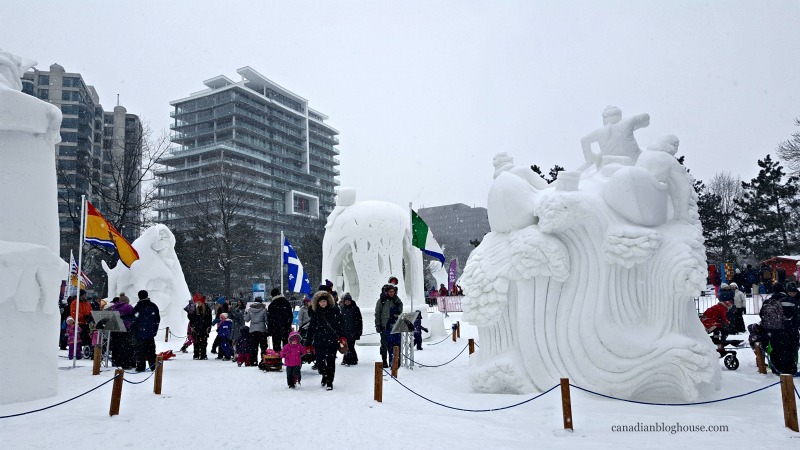 Have you ever had the chance to visit Winterlude? 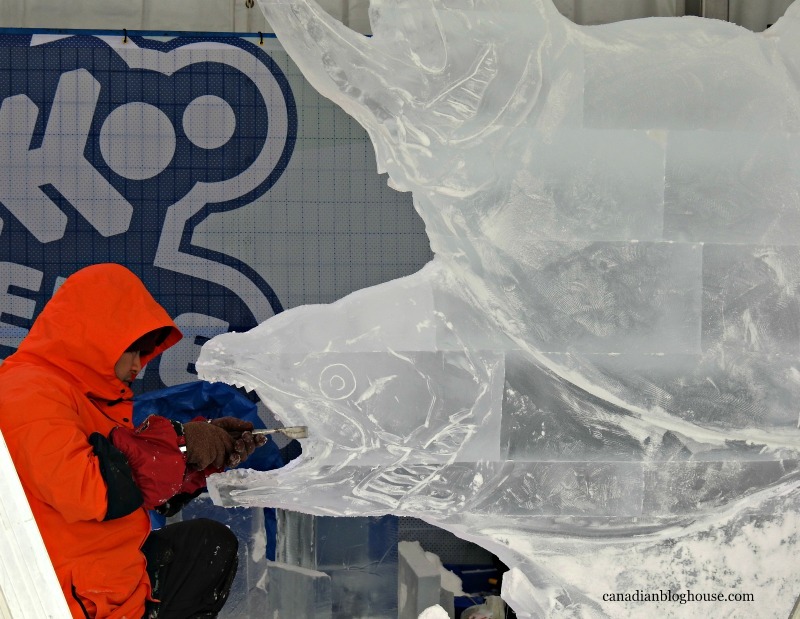 What would you most like to see at this year’s Winterlude festival? Ohhh! I sure hope you get the chance to come visit Ottawa, Aeryn! Winterlude is a must! The ice sculptures are amazing and so are the snow sculptures. Those artists have fantastic skills! 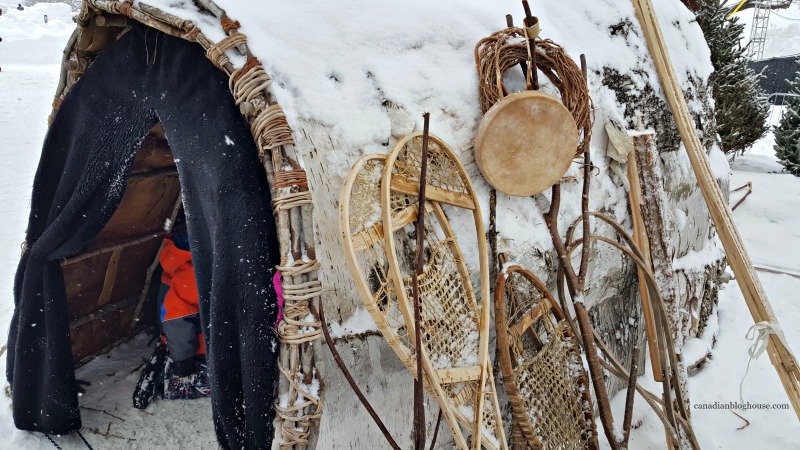 Thanks for reading and I hope this post helps you discover your own Winterlude moment, Aeryn!! My goodness we had fun. I’m sorry I missed Snowflake Kingdom it looks pretty cool. (Cool… get it ). We sure did, Margarita! You’ll just have to come back next year to experience more Winterlude…and Snowflake Kingdom. It’s cool in more ways than one 😉 Thanks for reading!